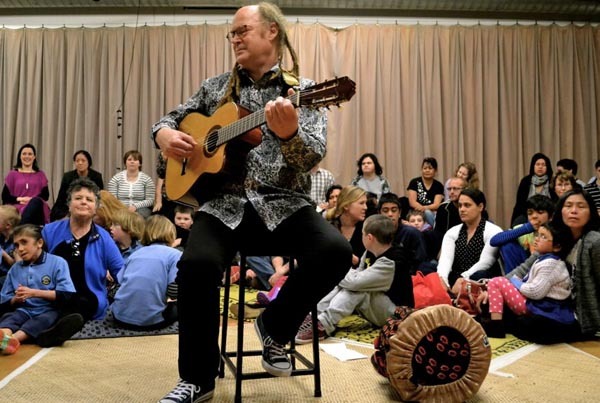 The healing qualities of music have been recognised in popular culture for centuries and now, the life-changing impact of music therapy is set to be celebrated in New Zealand’s first Music Therapy Week from 21 to 29 May. 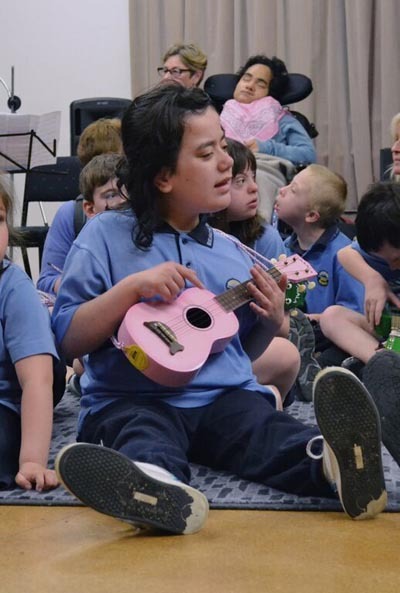 Every week, New Zealand’s 52 registered music therapists work with thousands of clients around the country, from dementia patients to young children with learning difficulties. Music is used as part of a therapeutic toolkit to assist with the healing and personal growth of people of all ages and abilities with identified emotional, intellectual, physical or social needs. Chamber Music New Zealand, which presents chamber music concerts throughout New Zealand, organises workshops and relaxed performances with young people and adults with learning disability. Led by community musician Julian Raphael, the workshops and concerts are also a professional development opportunity for the musicians. Coinciding with Music Therapy Week, Arts Access Aotearoa's new video about a recent workshop and relaxed performance project between Chamber Music New Zealand, Julian Raphael, Trio Amistad and Mahinawa Specialist School will be available for viewing. The workshop culminated in a performance at Pataka Art + Museum. Megan Berentson-Glass, a music therapist at Mahinawa Specialist School, was involved in the project and is interviewed on the video. "From our music therapist perspective, the workshopping was where the great benefit was," Megan says. "As a therapist, process is what it’s about. So it was wonderful to have such a long process with people who were so welcoming of all the things our students were able to bring and to see all the different musical interactions that happened. "It was such a positive and exciting situation. Everyone was involved and active, and it really enhanced the sense of a school community. "After the concert, the buzz didn't go for weeks." Music therapists often work as members of a clinical team, including at early intervention centres, hospitals, schools, prisons and rest homes, in addition to private practice and working in homes. Music Therapy New Zealand President Heather Fletcher says the first Music Therapy Week is focused on celebrating music therapy. “We’re looking forward to telling stories about the measurable difference music therapy is making in the lives of thousands of New Zealanders every month,” she says. supporting activities to advance the ethical provision of music therapy services. Registered Music Therapists in New Zealand are employed in a variety of health and education settings in areas such as Early Intervention, Children with Special Educational Needs, Adult Learning Disability, Child & Adolescent Mental Health, Adult Mental Health, Rehabilitation via ACC and Aged Care. Original generation time 1.6442 seconds. Cache Loaded in: 0.0006 seconds.